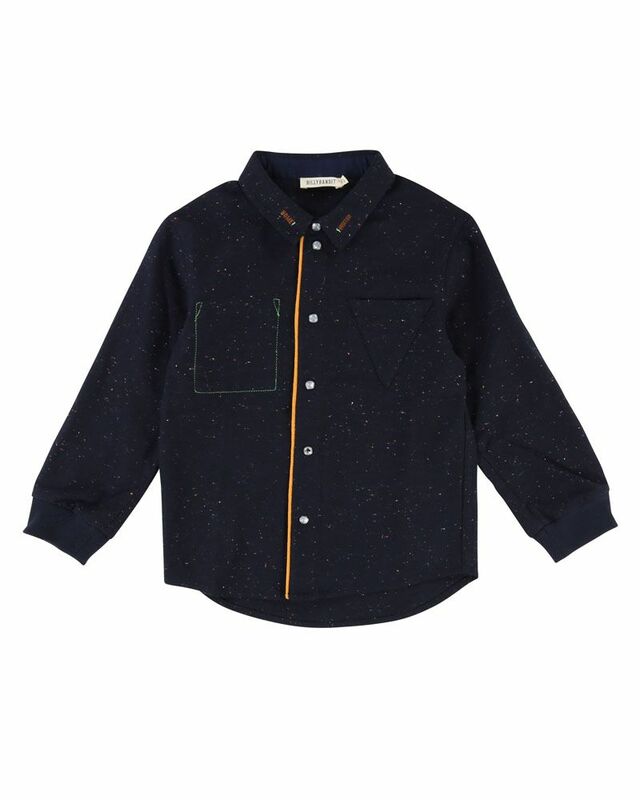 Billybandit soft cotton navy dotted twill shirt with patched pockets on the front, rib at cuff, embroidery at collar and lightning cloud snap button. 98% Cotton, 2% Polyester. Imported.